Who is paying for the Tory election campaign? By M W - Addison Lee. Donors with clear vested interests in a Dirty Brexit have gifted Theresa May’s Conservatives at least £3.4 million in the early weeks of the election campaign, according to an analysis of the latest Electoral Commission figures by openDemocracy. The treasure trove increases to £4.3 million if the hedge funds and investment firms are included, on the basis that they are highly likely to have at least some interest in carbon intensive energy, transport, construction or other polluting industry. This amounts to 91 percent of the £4.7 million of funding which poured into the Conservative party election campaign fund from identifiable donors giving more than £10,000. In total, openDemocracy was able to trace 74 percent of the £5.5 million of larger donations to the party during the first two weeks of the election campaign. John Griffin, the founder of the taxi and delivery company Addison Lee (though he no longer works there) handed the Tories £900,000, making him the single largest election donor so far. 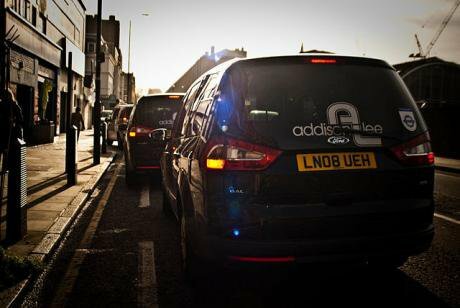 Addison Lee relies on being allowed to pour pollution into British cities from the tailpipes of the 4,800 car fleet driving around central London. The Conservatives have manifestly failed to ensure that Britain meets European Union air pollution standards implemented to save lives, and the taxpayer is forced to pick up the price of companies being allowed to continue to add to the deadly pollution. The Tories also reduced the annual checks on taxi firms. The party has also accepted cash from businessmen who are making millions from oil and gas, and from hedge funds and investors supporting the industry. This is despite the dire warnings that greenhouse emissions are contributing to the global crisis of climate change. Matthew Ferrey, the former senior partner at the Vitol group of companies, had given the Tories £100,000 in the last month. The firm describes itself as “an energy and commodities company and sits at the heart of the world’s energy flows”. Ayman Asfari, the chief executive of oil and gas industry Petrofac, handed over £5,000 to support Theresa May’s bid to remain prime minister, as has his wife Sawsan Asfari. The company “is being investigated by the SFO over suspected bribery, corruption and money laundering”. Amjad Bseisu, who previously worked at Petrofac but is now chief executive of EnQuest, the country’s largest independent North Sea oil producer, handed over £12,500. This is likely to be a splash in ocean of the money saved following George Osborne’s generous tax breaks for the North Sea oil industry. The Tories will be able to vastly outspend Labour at the polls, providing a huge advantage when advertising on social media and through traditional posters and leafleting. This has been further bolstered by money handed over by Sir Michael “Mick” Davis, of the mining company, X2 Resources; the £25,000 donated by Constantine Logothetis from the aviation and shipping industry, and a gift from Steven N Parkin, from transportation company Clipper Logistics Plc. The construction industry – which relies heavily on carbon intensive concrete production, has also been very generous following the May’s decision to call a snap election. The sector stands to benefit from her party’s continued attacks on planning regulations, and also the potential ‘unpicking’ of regulations on emissions from the European Union. Lord John Sainsbury, of the supermarket chain, gave £100,000 while Malcolm Walker of Iceland gave £50,000, contributing to £340,000 in total from retail chains. The retail sector is heavily reliant on the haulage and transport sector to move goods from supplier, to warehouse, to store contributing significantly to the production of carbon dioxide. The construction company J.S. Bloor (Services) Ltd is the third largest donor, giving £400,000 in the first week of the election period. The developer David Rowland is not far behind, with a £200,000 donation. Another construction company, Aria Properties Limited, found £100,000 from its balance sheet to make a political donation. In an earlier article for openDemoracy I suggested there was a potential split between donors who demand environmental regulations are destroyed so polluting businesses can increase profits, and members who value the ‘conservation’ of the natural environment. We see here which cohort is paying the piper during the election. Dr Alan Whitehead, Labour’s Shadow Minister for Energy and Climate Change, told openDemocracy: “The Conservatives threaten a ‘bonfire of red tape’ after Brexit, and this is a threat to our environmental protections and to the quality of our lives. The analysis suggests the Conservatives received donations exceeding £575,000 from individuals and companies that made their fortunes from construction. This compares to £212,500 from those with a direct vested interest in the fossil fuels industry; £105,0000 from the transport sector, with a further £100,000 from the motor industry. A major proportion of the election treasure trove has also been supplied by hedge funds and investment houses. We are able to identify investors in high carbon energy, construction and mining as contributing £275,000. A further £750,000 came from hedge funds and £62,500 from investors where we could not find heavily polluting investment, but nor could we rule it out. It appears that the Tories have only received one donation from anyone operating in the clean energy or environmental sector. Daniel Green, who we believe to be the regular Tory donor and former owner of the renewable energy company HomeSun gave £25,000. The Conservatives while in government ended tariffs for clean energy, and practically made the construction of further onshore wind turbines illegal. note: this article previously stated described John Griffin as the 'boss' at Addison Lee. While he founded the firm, he in fact no longer works there. Addison Lee does not make politcal donations.